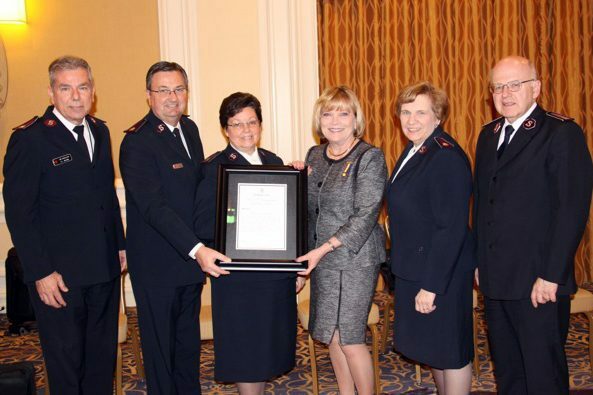 Award is The Salvation Army’s highest recognition of volunteer support. 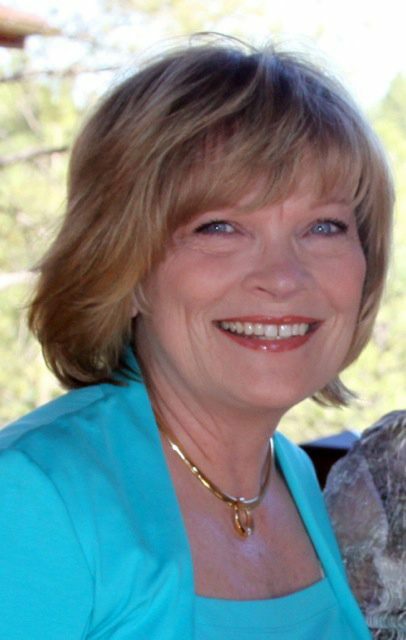 Marlene Klotz-Collins—member of the National Advisory Board for 14 years and the Phoenix Advisory Board for 30 years—was awarded The Salvation Army’s Order of Distinguished Auxiliary Service, the highest recognition conferred upon a non-Salvationist in recognition of outstanding, long-term service, by issue of General Linda Bond. Klotz-Collins was instrumental in the formation of the Christmas Angel program in Phoenix, presented annually by KTVK 3TV. Now in its 27th year, the program provides toys to 50,000 children annually. Her work with the Army also includes disaster relief efforts, volunteer recruitment, and fundraising. National Commander Commissioner William Roberts, Territorial Commander Commissioner James Knaggs, and Southwest Divisional Commander Lt. Col. Joe Posillico made the presentation during the January National Advisory Board meeting in Phoenix. Ninety Americans have received the Distinguished Auxiliary Service Cross since its inception in 1941. Henry W. Taft, brother of President William Taft, was the first recipient for his service as chairman of The Salvation Army Advisory Board in New York City for 20 years. Prime ministers, members of the nobility, President Herbert Hoover’s wife, and Justice Sandra Day O’Connor are among the recipients.